The Branddocs TrustCloud Certificate SMS consists of sending relevant information via a short message SMS and obtaining a certificate of its content, of the sending and of the delivery to the recipient. To do so, the date and time of shipping is recorded, plus the mobile phone number of the sender and of the receiver. With the same legal and probative value as a Burofax or a certified letter, the Certified SMS has value of proof in a court of law. Its Digital Timestamp issued by the Certification Authority. 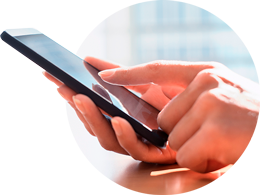 The mobile operator with CMT License, processes the sending of the messages and issues the Digital Certificate. As a result, a PDF document is generated with a certified electronic signature as an acknowledgement of receipt, which meets all the technical and legal requirements set by current legislation concerning electronic signatures and digital certificates. The SMS is created and its content is drawn through the SMS platform Branddocs Certificate. When the user receives the content and delivery of SMS is certified. For 5 years the digital certificate generated in PDF format custody, available for download from any device (computer, mobile phone or tablet).